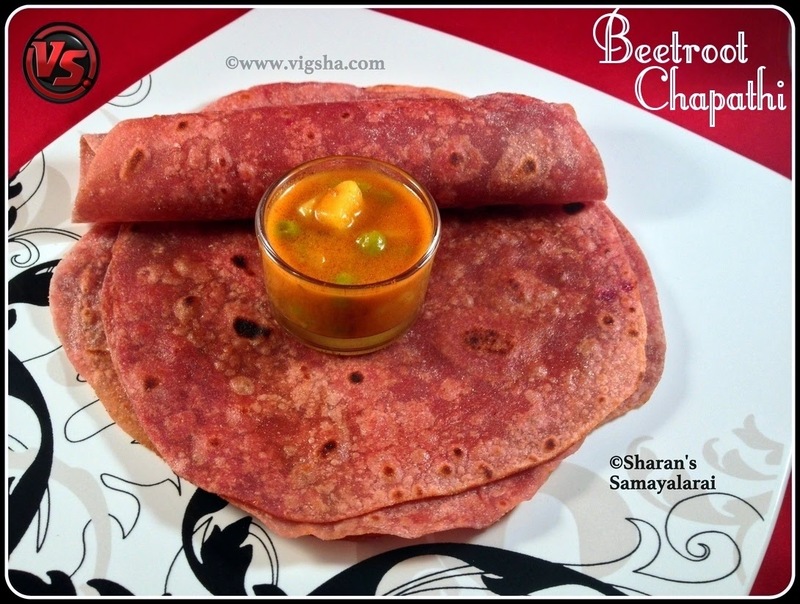 Beetroot Chapathi is a colorful and flavorful variation from regular chapathi. Beetroot has good source of fiber, gives better stamina, improved blood flood and lower blood pressure. Check out more Beetroot recipes which I have already posted :- Beetroot Poori, Beetroot Sambar, Beetroot Poriyal, Beetroot Chutney. 1). Peel the skin from beets and chop it roughly. Grind it to smooth paste adding green chillies and little water. Make sure there are no lumps. Keep aside. 2). In a wide mixing bowl, mix flour, salt and cumin powder. Then add the pureed beetroot along with a tsp of sesame oil and mix everything together. Add water little at a time and make a stiff and smooth dough. 3). Make equal sized balls from the prepared dough. Dust with flour/oil and roll into thin circles. Warm up a non-stick griddle on medium heat. 4). Place the rolled chapathi over skillet and drizzle ghee or oil. After it changes color and start puffing in different places flip it over. Cook till light golden-brown spots appear on both sides. 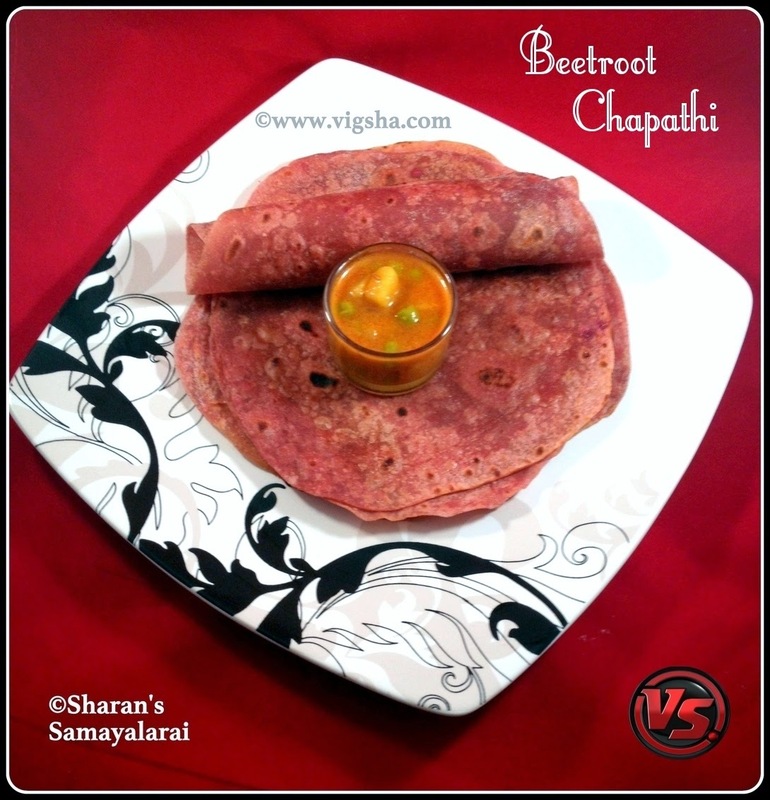 Enjoy this colorful chapathi with any gravy or simple Raita. I served it with Potato Kurma. # Adjust the level of green chillies according to the sweetness of beets. # For kids, you can spread apple butter or jam on chapathi and serve.